Does your voicemail greeting sound like it was recorded in a tin can? We can change that! 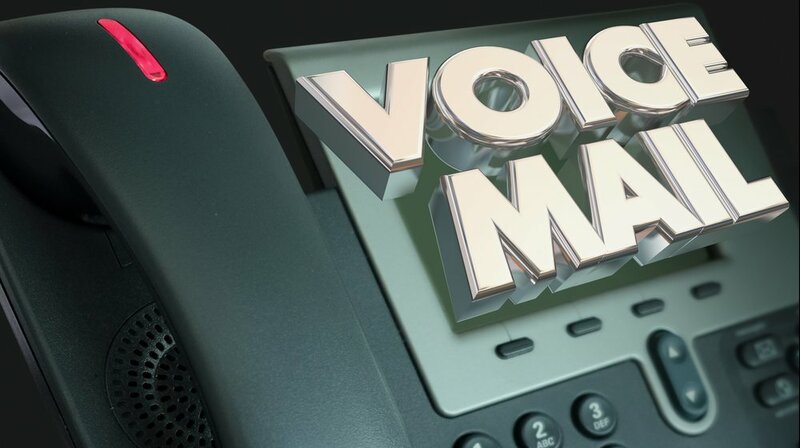 If you’re a small business owner looking to have a high quality voicemail greeting produced and sent to your cell phone for customers to hear, we can help. THE PROBLEM: Today’s voicemail greetings are created using a cell phone’s internal microphone. The process involves tapping record and simply speaking into your phone or having the greeting recorded to mp3 or WAV file and playing it back into the phone’s internal microphone via an external speaker. The problem with these methods is quality, resulting in a greeting that sounds like it was recorded in a tin can. Voicemail greetings are also digitally compressed by your cell phone carrier, making your already bad recording sound worse! These carriers do not offer an option to upload a high quality recording of your greeting…the good news is that we’ve found a way around this problem. THE SOLUTION: For a small fee we’ll use your pre-recorded greeting OR create a professional voice-over of your greeting, either male or female, and get it recorded to your phone – without needing to have you or your phone on-site. We do it all remotely! That means wherever you are, we can help. You can write or have us write your voicemail greeting. We’ll take what’s written and have it read by a professional voice-over talent, male or female, then save it as a high quality WAV file. We also accept pre-recorded greetings in WAV or mp3 format. Once the recording is created or received and we get it transferred, your callers will hear a new clear-as-day greeting that reflects professionalism and class. Use the no obligation form below to see pricing and get started. © PVM VIDEO PRODUCTION, 2019.
nationwide service, oklahoma based shoots. oklahoma city, norman, edmond, tulsa, moore, lawton, midwest city, and the entire state of oklahoma.